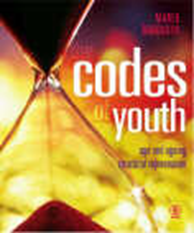 The Codes of Youth is a book about how to eat, exercise and simply live so as to retain a healthy and youthful appearance and even turn back your biological clock. Doctor Marek Bardadyn is an expert in the area of healthy lifestyles and weight loss, the creator of the structural diet which is gaining widespread popularity. He is the author of many medical publications and bestselling books like Weekend Slimming and The Slimming Cookbook. His medical advice columns have appeared in major magazines and he is a frequent guest on television shows. His advice is sought by celebrities, well-known politicians and sportspeople from around the world. The methods of strengthening, regenerating and rejuvenating the human body is a result of the experience gained by the author over many years practising as a doctor, including in the fields of sports medicine and anti-ageing.